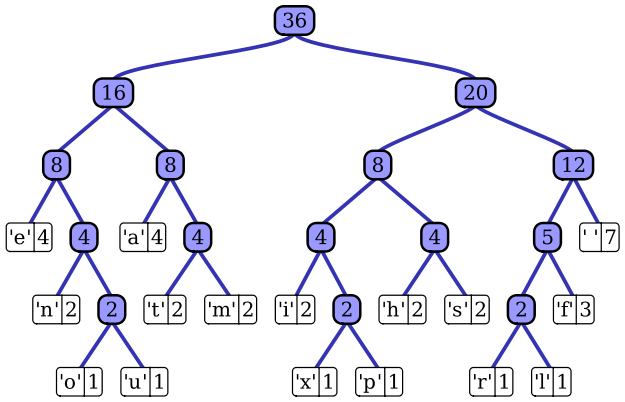 modern CPUs are "fast enough"
"""Returns a (symb -> freq) mapping for a given bytes stream"""
"""Represents a node in a Huffman tree. If the symbol is None, this is an internal node.""" 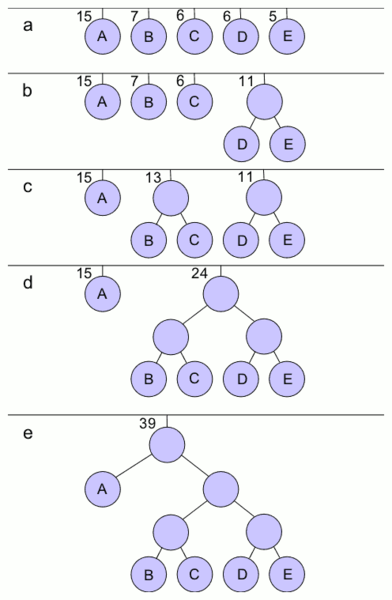 """Build a Huffman tree given a symbol frequencies map.""" ~2 seconds for a 3 MB text file - that's not really fast. How to make it run faster? Start trying things at random!.. # slots must be faster! # defaultdict is definitely better! # key + operator.attrgetter make sorting fast!!! Stop trying things at random! *** Profile stats marshalled to file 'data/cprofile.result'. # now we are talking! Python can be fast. Let's profile our software before pointing a finger!